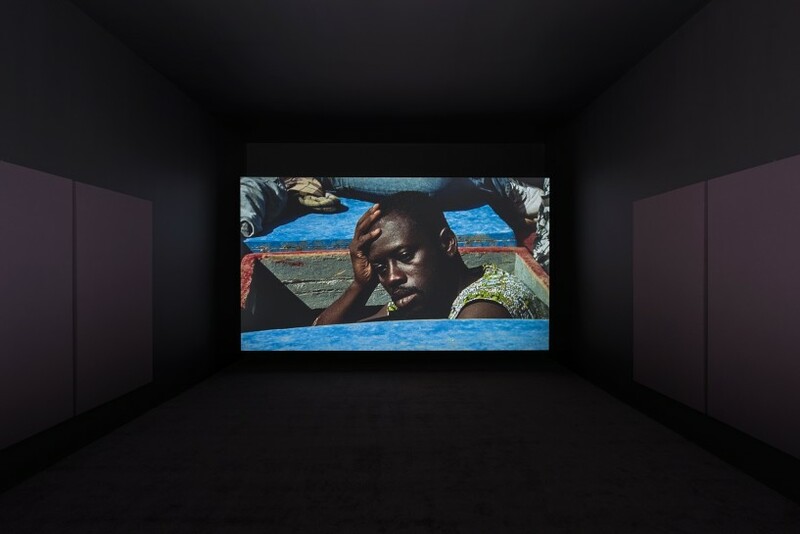 Water is the theme of Höhenrausch 2018 (24 May–14 October 2018), which features work by more than 40 international artists, including The Leopard (Western Untion: Small Boats), 2007, by Isaac Julien. This video work was filmed in the same locations where Luchino Visconti shot lavish images portraying the decline of the Sicilian aristocracy for his 1963 film The Leopard. Isaac Julien focuses instead on refugees and their stories. Dance-like, sensual, and without the urge to 'recount' anything concrete, The Leopard (Western Union: Small Boats) is a complex, haunting film about migration in Europe in the age of globalisation.